Earlier today, Mark Gurman at 9to5Mac spilled the beans on the 12” MacBook Air model that has been heavily rumored the past few months. Mark Gurman has a really good track record with Apple rumors, and his article contains a lot of details about the product. The image above is an artist’s rendering based on that information. There’s no information about the hardware specifications of the machine, but there’s plenty of information about the form factor Apple is working on. 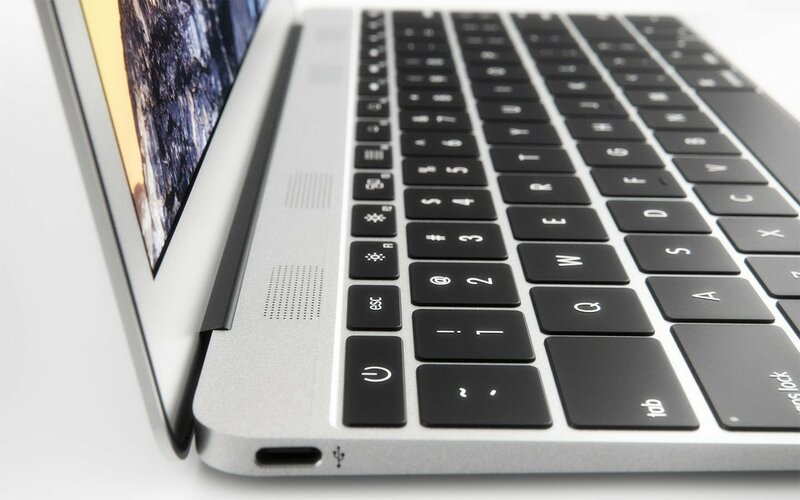 It’ll be significantly thinner than the current 11” MacBook Air and a quarter of an inch narrower and taller. The increase in height is due to the bigger screen. To achieve this form factor, Apple is ”currently planning” (Mark Gurmans italicization) to ditch all ports except the 3.5” headphone jack and one USB Type-C port. Everything else (USB 3.0, SD slot, MagSafe, Thunderbolt) will be left by the wayside. This will most likely be a good candidate for my next laptop. Judging from Mark Gurmans description and the artist’s renders, and ignoring the current lack of hardware specifications, this will most likely be a good candidate for my next laptop. The lack of ports doesn’t bother me, provided that Apple offers a good hub solution with support for an external monitor. I’m hardly the only one with that reservation, so I’m hopeful that they’ll adress it. I’m currently using a two and a half year old 13” MacBook Air. It’s starting to show its age. The 12″ MacBook Air raises some interesting questions about the future of the iPad. Apple has never been afraid to cannibalize its own products, but the increasing portability of their laptops puts the 9.7” iPad in an interesting position. That’s not to mention the iPad Pro, which is rumored to be 11-12” and nearing production. That product made sense a couple of years ago, but it feels like the window for it is closing. Say what you will about the state of Apple software – their hardware has arguably never been better, or more interesting. I’m very excited for their next event.